Congratulations to Jennifer O’Neal (Confederated Tribes of Grand Ronde), Corrigan Solari University Historian and Archivist, for being awarded the Henry Roe Cloud Dissertation Writing Fellowship at Yale University! Sponsored by the Yale Group for the Study of Native America (YGSNA), the Henry Roe Cloud Dissertation Writing Fellowship in American Indian and Indigenous Studies has helped to develop American Indian Studies at Yale by facilitating the completion of the doctorate by scholars working on pressing issues related to the American Indian experience and Indigenous Studies. The Fellowship supports a graduate scholar in any doctoral field for the 2018-2019 academic year to work toward completion of the dissertation during the fellowship year. The Henry Roe Cloud Fellowship honors the legacy of Henry Roe Cloud, a member of the Winnebago Nation of Nebraska and graduate of Yale College, 1910. A tireless critic of federal Indian assimilation programs and a proponent of increased educational opportunities for American Indians, Roe Cloud transformed American Indian higher education through his leadership of the Society of American Indians, his founding of the American Indian Institute, and as co-author of “The Problem of Indian Administration,” commonly known as “The Meriam Report,” an extensive survey made at the request of Secretary of the Interior that detailed the appalling failures of federal Indian policy in the early twentieth century. This survey, presented to Congress in 1928, helped to set in motion many of the subsequent reforms of the Indian New Deal. The fellow will work in close affiliation with the Ethnicity, Race, and Migration Program and will have access to Yale’s exceptional research libraries. The Beinecke Rare Book and Manuscript Library, in addition to its premier collection of Western Americana, also holds the papers of many important American Indian writers, including Joseph Bruchac, Leslie Marmon Silko, N. Scott Momaday, Gerald Vizenor, and James Welch, as well as those of important policy makers such as Felix Cohen and Richard Henry Pratt. Manuscripts and Archives at Sterling Memorial Library holds the papers of John Collier and Henry Roe Cloud. Jennifer will work toward completing her dissertation in history from Georgetown University that focuses on an interdisciplinary approach to the examination of the social, political, and historical intersections of Native American transnational activism within the late twentieth century, centered within the field of indigenous studies and foreign relations. Applications to the Sapsik’wala Teacher Education Program Open Now! In two of its most recent episodes, OsiyoTV: Voices of the Cherokee People explores the life, writing, and legacy of Lynn Riggs, a prolific and widely respected Cherokee playwright, screenwriter, filmmaker, poet, and drama theorist, and Ruth Muskrat Bronson, a Cherokee writer, educator, activist, and intellectual. As central figures in his recently-published book, Stoking the Fire: Nationhood in Cherokee Writing, 1907-1970, Professor Brown speaks about Riggs’s close associations with some of the most influential figures of American modernism, drama, and popular culture production, sharing bills with Eugene O’Neill and George Bernard Shaw at the Provincetown Players and Hedgerow Theater, and finishing as a runner-up twice for the Pulitzer Prize in drama. He also discusses Riggs’s legacy as both a central, though still neglected, figure in American drama and as a formative ancestor in Cherokee dramatic and performance traditions. In this episode, Brown speaks about Bronson’s almost six-decade-long career of service and activism on behalf of Native peoples, communities, and nations. In addition to teaching alongside Ella Deloria and Henry Roe Cloud at Haskell Institute, Bronson also founded the American Indian Higher Education Scholarship Program while an employee at the Bureau of Indian Affairs and was a founding member and executive officer for the National Congress of American Indians. As Brown notes in the feature, “Ruth Muskrat Bronson is one of the most important American Indian figures of the early 20th century who almost no one knows of or writes about.” Brown’s work on Bronson’s life and work seeks to change that. The interviews were recorded during the Cherokee National Holiday in Tahlequah, Oklahoma over Labor Day weekend. The Holiday remembers and honors the arrival in Indian Territory of the last detachments of Cherokee people forcibly removed from their homelands in the US Southeast on the Trail of Tears in 1839. Gabriela Pérez Báez, Assistant Professor in the Department of Linguistics and member of Native Strategies, will be setting up a Language Revitalization Lab in the Department of Linguistics at the University of Oregon. Broadly speaking, language revitalization refers to efforts intended to support the use of a language, with a focus on those languages that are endangered. October 11 at 10:30am at the Northwest Indian Language Institute, 1629 Moss St. Please let her know at https://goo.gl/forms/aDznNCQcko6abYZn1 if you are planning to attend one of these consultations, so that she might be prepared for the relevant number of people. Click here for more on Dr. Pérez Báez’s work. UO/Otago Indigenous Studies Exchange–Call for Applications! All application materials must be submitted to williamj@uoregon.edu no later than 5pm on Wednesday, January 2, 2018. GEO Advisor Kristen Kalbrener (kkalbren@uoregon.edu). CAS Scholarships for Undergraduate Students! 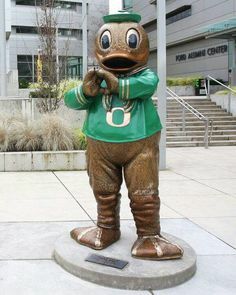 Please visit http://cas.uoregon.edu/cas-scholarships/ for more information on each scholarship’s criteria, average award amounts, and a link to the online application materials. The application deadline is Monday, February 26, 2018. If you have any questions please contact the College of Arts and Sciences by e-mail at scholarships@cas.uoregon.edu or by phone at 346-0045. Apply Now to the Sapsik’wala Education Project!!! Native DuckFund is Live! Click, Contribute, and Share Today!!! It is with great pleasure that we announce that the Native Duck Fund crowdsourcing campaign is now live! The Native Duck Fund is a professional development fund for Native American students at the University of Oregon. Students have access to various financial aid programs to help cover tuition, fees, and cost of living while attending the University of Oregon, but they often encounter financial roadblocks to professional development opportunities, such as conferences, academic competitions, and other meritorious work that would significantly enhance their career goals. Because Native American poverty rates are nearly double the poverty rate of the general US population, expenses such as conference fees and travel costs for research or internship opportunities often prove prohibitive for students to overcome. This fund would support Native students seeking to develop a career in any field by assisting with the cost of supplies, equipment, and travel related expenses to attend and compete in academic competitions. Please consider making a donation to support Native American students! Nkena! Please find attached the poster for the Fall 2016 Chinuk Wawa classes at Lane Community College, in effective support of which many of you generously spoke and wrote and stood this last May. Thanks, again, UO colleagues! You helped save Chinuk Wawa at Lane! Students who complete CW 101 and 102 or CW 201 and 202 will receive a full tuition refund for CW 103 or CW 203, respectively. This was made possible under the terms of an anonymous donation to the Lane Foundation. In addition to satisfying language requirements for the UO Native Studies Minor, many UO students can also benefit by enrolling in the the Lane/U-O Dual Enrollment Program, which still has no application fee. The deadline for Dual Enrollment applications is three weeks before the start of classes for Fall term. Students should also know that should they experience registration problems for the class, they’re still welcome to attend and register in person. They’ll find help with registration in the LCC Longhouse (every Monday and Wednesday from 4 – 5:50) as soon as classes start in the fall.